This Summer Will Be 1% Inspiration, 99% Perspiration! Get an Exclusive T-Shirt & Invite to our Summer Party! Distracted? Busy? Out of shape? Stay (or get back on!) on the mat with our 99 Days of Summer Challenge! Summer is almost here, and we know it can be the hardest time of year to keep up a yoga practice. 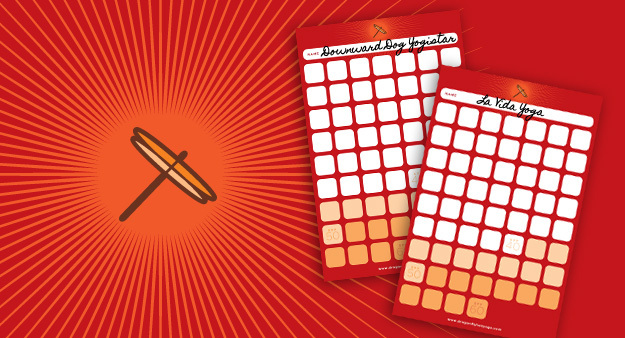 We created this challenge to keep you motivated and inspired during the summer. And we’re sweetening the deal with prizes! Just do it! It could be the most valuable gift you could ever give yourself. 1. Pick up your challenge card at either studio. 2. Give us your name, email and your T-shirt size at the front desk. 3. Choose Your Yogaventure! Pick a goal of 40, 50 or 60 classes. 4. Attend 40, 50 or 60 classes between May 26 and September 1. You can do it! 5. If you complete your challenge, you will receive a limited edition Dragonfly shirt or tank and will be invited to a fun Dragonfly Party in September where we’ll have food and prizes! Each class you attend is worth 5% off Dfly classes and merchandise! We’ve got Spring Fever at Dragonfly Hot Yoga! 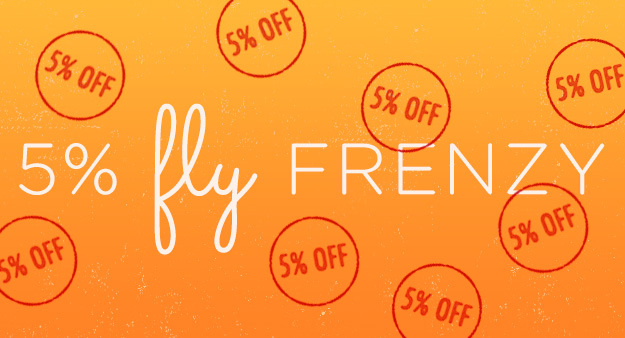 Pick up a Fly Frenzy card at the front desk, and each class you attend April 28 through May 5 is worth 5% off your next purchase! The discount is good for 40% off 10 and 20 Yoga & Fitness Class Passes, 5 and 10 BarreAmped Class Passes or 25% off Dragonfly retail items. Wow! 8 Stamps max for class passes, 5 stamps max for retail items. Expires Sept. 1, 2014. Cannot be combined with other offers. One card per person. 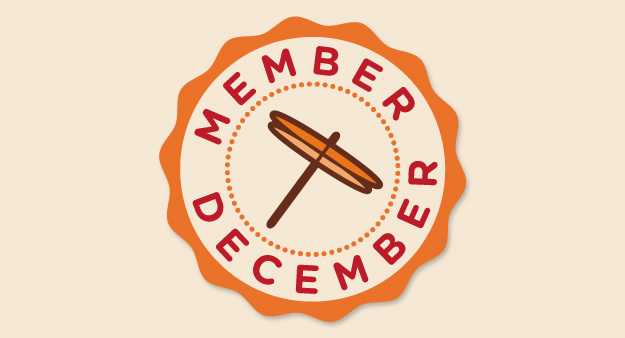 Become A Member This December And Get A Chance To Win! One New Member Will Win 6 months of Free yoga This Month! It’s Winter! The chill is in the air, snow is on the ground, and Dragonfly is HOT! Need another reason to stick with us during these cold months ahead? Anyone who signs up for a membership this month gets entered into a drawing for 6 months of FREE unlimited classes! Join Dragonfly as a member for less than the cost of your daily cup of coffee! If you come to 2 or more classes per week, membership is the best way to take advantage of our clean studio, variety of classes & instructors, and friendly community of awesome yogis! 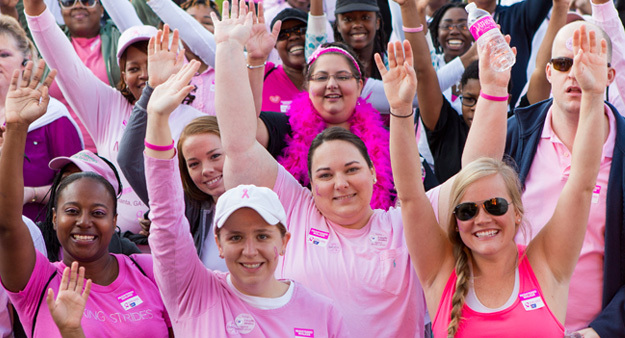 On October 5th, We Walk Against Breast Cancer. Will You Join Us? Let’s Unite and Fight Breast Cancer! Donate to Team Dragonfly – we are over half way to our goal of $5000! Our Summer Party is Sept. 21! Join Us At Our Summer Party! Calling all Dragonfliers! Come one, come all to Quivey's Grove on Saturday, September 21 from 5:30-9:00pm! We love a good time, and we love our Dragonfly community, so we're combining the two into a great evening of food, drinks, tunes and YOU! We can't wait– hope to see you there! Announcing Our Raffle Winners! Are You One? Thank you so much for making Week of the Dragonflies a huge success! We hope you enjoyed our customer appreciation week–from our donation classes and our membership/intro offer sales to our fun member tote bags and raffle. With your help, we were able to raise over $3,000 for the Making Strides Against Breast Cancer campaign. Thank you for being a part of celebrating the 2nd anniversary of our Fitchburg studio and our 1 year anniversary of our Middleton studio. We are having a blast and hope to celebrate many more Dfly birthdays with all of you! We appreciate you 365 days a year and we have, hands down, the best clients any business could ask for. We are grateful for each and every one of you! Who won what at our Raffle? Click 'read more' to view! June is a special time at Dragonfly! 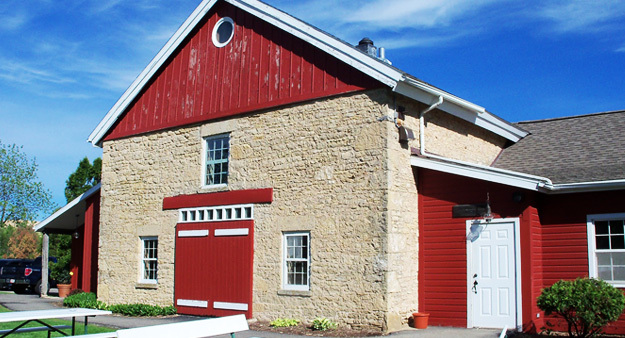 It’s the 1st anniversary of our Middleton studio, and the 2nd anniversary of our Fitchburg studio! To say THANK YOU to you, we are having a week of celebration– trivia contests, a raffle, donation-based classes, and more! 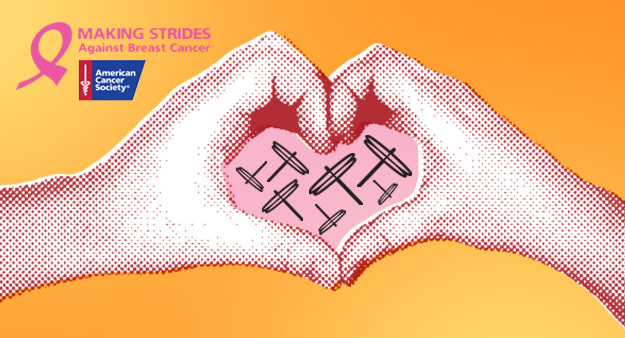 We also want to spread the love to our greater community, which is why the week will also be a big ol’ fundraiser for a charity that’s close to our hearts, Making Strides Against Breast Cancer. 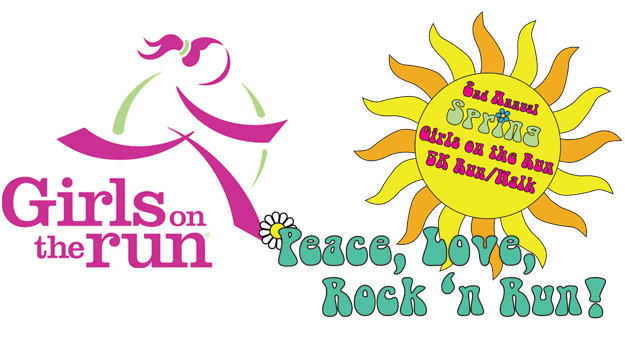 Dragonfly Hot Yoga is a proud sponsor of the 2nd Annual Girls on the Run 5K! Girls on the Run is a positive youth development program which combines an interactive curriculum and running to inspire self-respect and healthy lifestyles in pre-teen girls. This year’s event is a groovy atmosphere and untimed, non-competitive, funky family friendly event! This a community Run/Walk event and we welcome everyone to run, jog, walk, skip or simply cheer on the amazing girls. 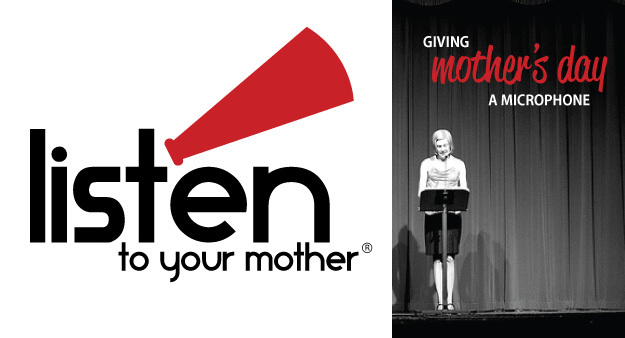 Dragonfly Hot Yoga is proud to be a sponsor for this year’s performance of Listen To Your Mother. Created by Madison native and fellow Dragonflyer, Ann Imig created Listen To Your Mother in 2010 (which has now expanded to 24 cities across the country!!) The show’s mission is to take the audience on a well-crafted journey that celebrates and validates mothering through giving voice to motherhood — in all of its complexity, diversity, and humor. 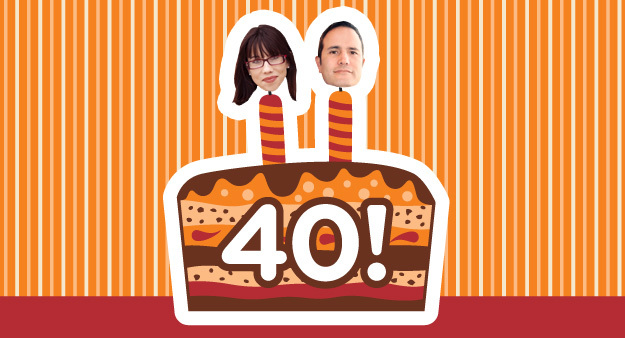 Carrie & Dave’s 40th Birthday Bash! Fun! Fun! Fun! Join Carrie on her 40th birthday for two special versions of her BarreAmped & Core Flow classes! Each class will feature the DJ stylings of Dragonfly’s own Dave Sharif (who also happens to be turning 40!). So come on out and celebrate good times!